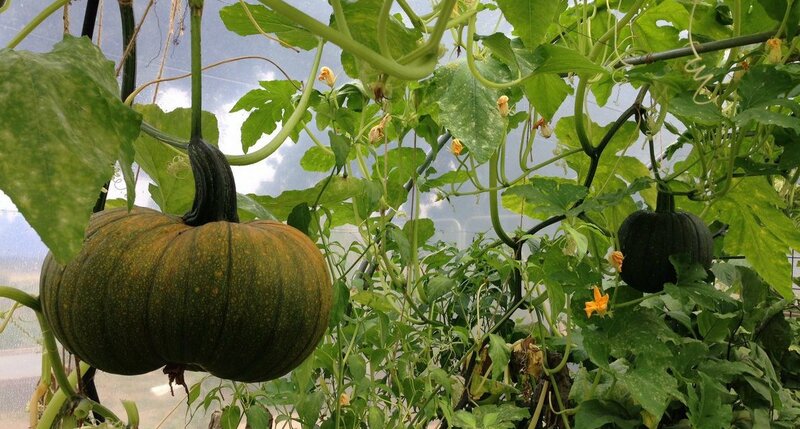 As summer turns to autumn there’s a lot growing on in London. 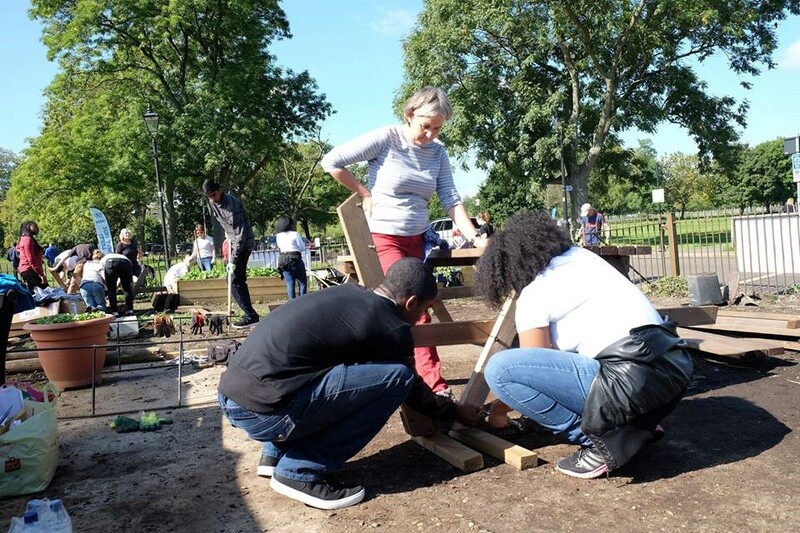 As part of Capital Growth: Urban Food Fortnight, London opened its doors to numerous gardening projects across the capital on Saturday 19 September 2015. This included our very own Bandstand Beds. 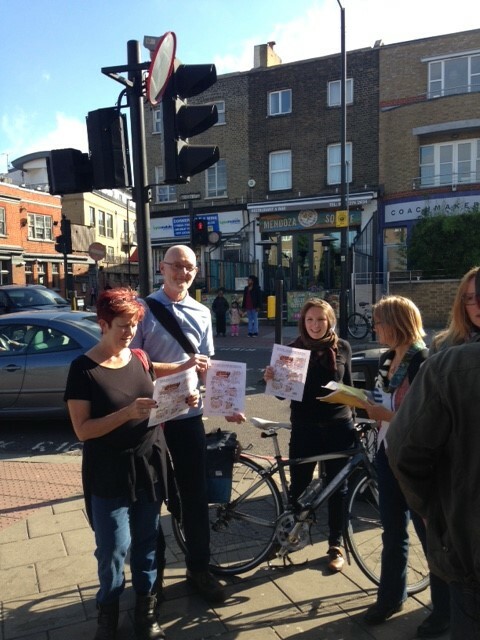 The day was gloriously sunny with not a cloud in the sky and commenced with a guided tour of the Incredible Edible Clapham Route (http://www.incredibleediblelambeth.org) beginning at Clapham North Station and taking in food-growing spaces at the GP surgery on the High Street, roadside beds on Cresset Street and the gardens at Clapham Manor School and Edible. The final destination of the tour was the Clapham Common Growing corner of the green-waste depot on Windmill. Here visitors could see a hive of activity as regular Bandstand Beds members were joined by an enthusiastic group of volunteers from The Challenge UK (http://www.ncsthe-challenge.org) who joined in building more raised beds and assembling seating. 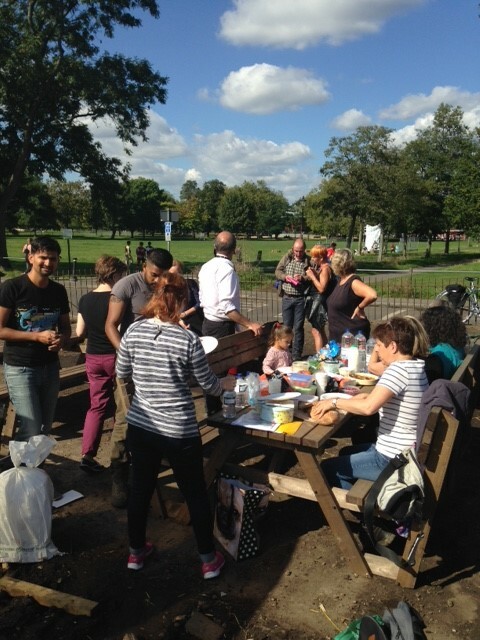 This was followed by a hearty picnic including some made from home-grown produce from the Common. 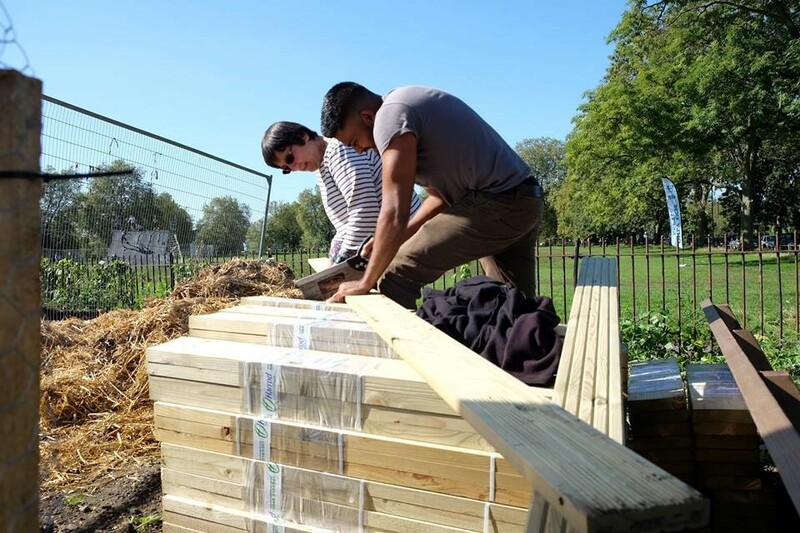 There’s plenty of work still to be done on the new Clapham Common Growing community garden ahead of our next big event, on Saturday 24 October 2015. As well our annual feast, we are planning an official opening of the space with lots of fun activities for old and young, including fruit tree planting, face painting, back and neck massage and a prize draw — and not forgetting lots of tasty edible treats from our 2015 harvest. Starts midday until 4pm — free and everyone welcome!